Because I have a split grade, some of my students are in my classroom for two consecutive years. It is both a pro and a con. I get to really know my students but I also have the more challenging students for two straight years. A. started off Grade 4 with a chip on his shoulder and absolutely hating school. He was a tough kid. He was often disrespectful and mumbled under his breath a lot. He refused to speak French in class and often spent the entire day without doing a stitch of work. He is a very smart kid and seemed bored in class, but refused to try his best at anything or try any of the challenges I offered him. He did the bare minimum, and only after I had hounded him about it. His parents were very involved and we communicated often. He was a very shy, reserved kid and never shared anything about himself. At the end of Grade 4, I realized that I really didn't know much about him, even though I had really tried. His brother and sister, who were in different grades, talked to me more at school than he did. This year, with him in Grade 5, I worked even harder at getting to know him and realized that he had some major anxieties. With Mom's support, we worked on those anxieties. He really hated talking in front of people and I considered that when we had class presentations to do. I offered him alternatives. He could record or film his presentation, or he could do it just for me instead of in front of the whole class. I worked with him to find topics that interested him and I took the time to sit with him and just chat during snack break. I gave him his space when he needed it. I found out that he really enjoyed helping the other students in class, so he became an unofficial mini teacher. Whenever he was done, he quietly walked around the classroom and helped out in any way possible. I saw his self-esteem shoot right up and the other students sometimes understood better from a peer. After Christmas break, in grade 5, I noticed a HUMONGOUS change in A. He started speaking French in class and in the hallway with his friends. He started smiling a lot more and participating in class. He started telling me more about himself and shared stories of what he had done over the weekend with me. The muttering in class and the talking back stopped entirely. He tried his best when doing his work. His relationship with his peers improved tremendously. I praised, praised and praised some more! I called home and shared his successes with his parents. I sent positive notes home in his agenda and he grinned every time (see how his mother replied to my positive note in the picture below). After sending a positive note home for A's parents, his mother sent me this message the following day. So rewarding! At the end of this school year, we each got to choose one student in our class who should receive the overall achievement award during the last school assembly. This wasn't necessarily the student who had the best grades in class. This was for the student who had worked hard in all aspects of school in the last year. I chose A to get this award and the look of complete surprise and pride on his face when his name was called up made me tear up and gave me teacher-goosebumps. I'm not saying that I'm the only one who helped him along in the last two years, but I'd like to think that I had a small part in his success story. Hearing from his parents that I had was so rewarding. This is another student who will forever be in my heart. I hope that he can continue his school career with a smile on his face. 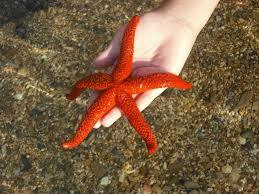 He is one of my little starfish (read about the starfish story here).